Kal-guksu literally means ‘knife noodles’ in Korean. The noodles are usually made from wheat and are customarily served in a broth. The noodles are very easy to make;season the flour with kosher salt and vegetable oil. Eggs and beans powder canalso be added to the flour. Mix the flour with cold water, roll the dough andcut to size with a knife. Starch can be added to create chewy noodles that willnot get soggy easily. There are variations to cooking the noodles. Some prefer to blanch the noodlesseparate from the broth which gives a clearer soup than cooking it all togetherwhich makes the soup thicker. For the broth, chicken/beef stock is used as a base. Dried anchovies, shellfish,kelp, onions, garlic, ginger, scallions, salt, potato and zucchini are added tothe stock. Vegetable stock can be used instead of beef/chicken stock to createa vegetarian meal. 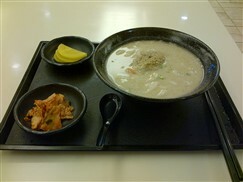 The broth is usually seasoned for hours to obtain a richflavour. Garnish the meal with scallions, sesame seeds, gochujaru and yangnyeomjang and/or other condiments. 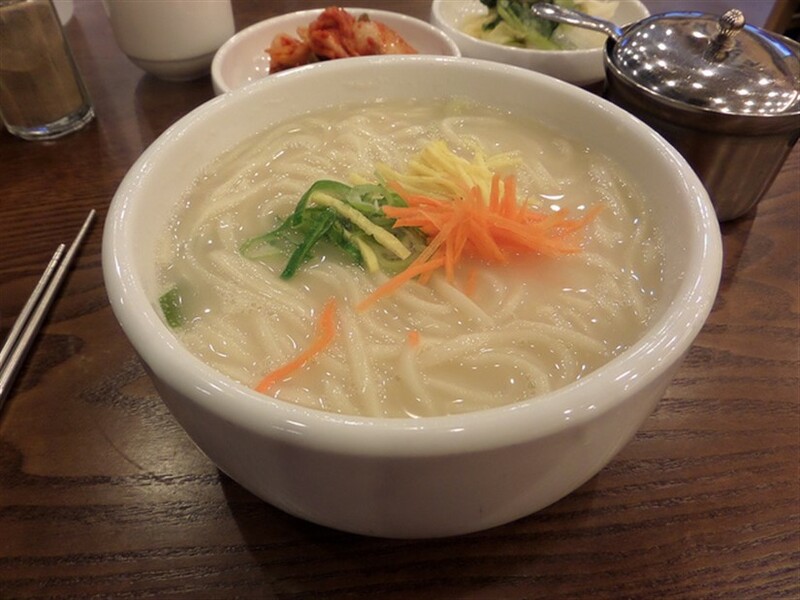 Kal-guksu is eaten more often in summer but as with all soups, it is perfect for winter.